Place pancake mix in a bowl. Combine the eggs, milk, oil and maple flavoring; add to pancake mix and mix well. 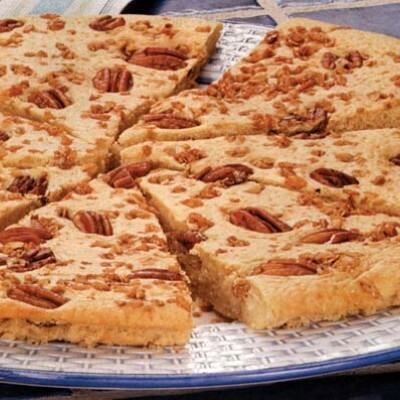 Pour into a greased 14-inch pizza pan; sprinkle with granola and pecans. Bake at 425 degrees for 10–12 minutes or until a toothpick comes out clean. Cut into wedges. Serve with syrup if desired.